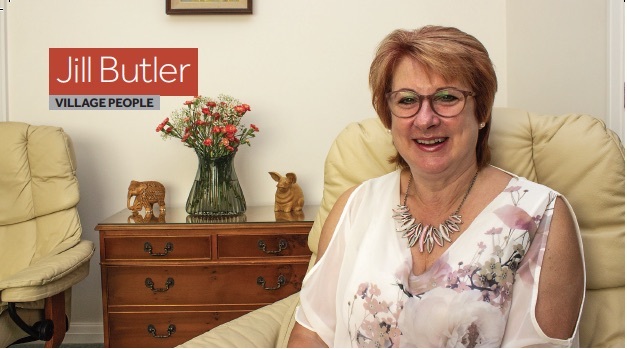 Jill was born in Hurstpierpoint and during the course of her life has lived in various places around East and West Sussex, including Haywards Heath and Crowborough, before settling in Cuckfield with her husband, Mark, in 1991. When Jill was at school girls weren’t encouraged, like they are in current times, to aspire to things in the same way as men. She considered nursing but with the pay being so low she wasn’t satisfied. “My dad had bought a touch typewriting course for me when I was 13,” she reminisced. “I still remember the name as it was so funny to me at the time – Willy Scheidegger - but typing proved to be pivotal for my career.” On completion of her first test Jill clocked 40 words per minute. On completion of her second and final test she was up to 70 words per minute and realised this was something to pursue.